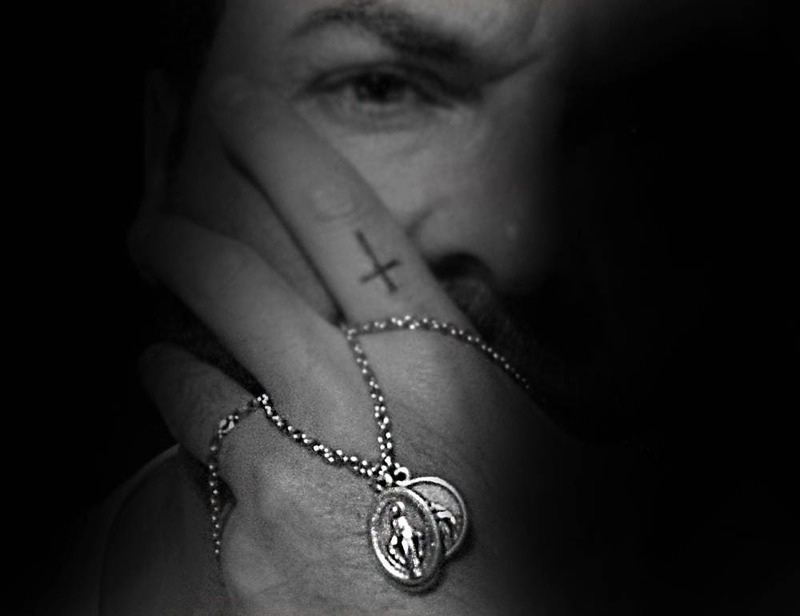 Trendy hipster look and bespoke Religious Men's Charm Necklace in Stainless Steel. 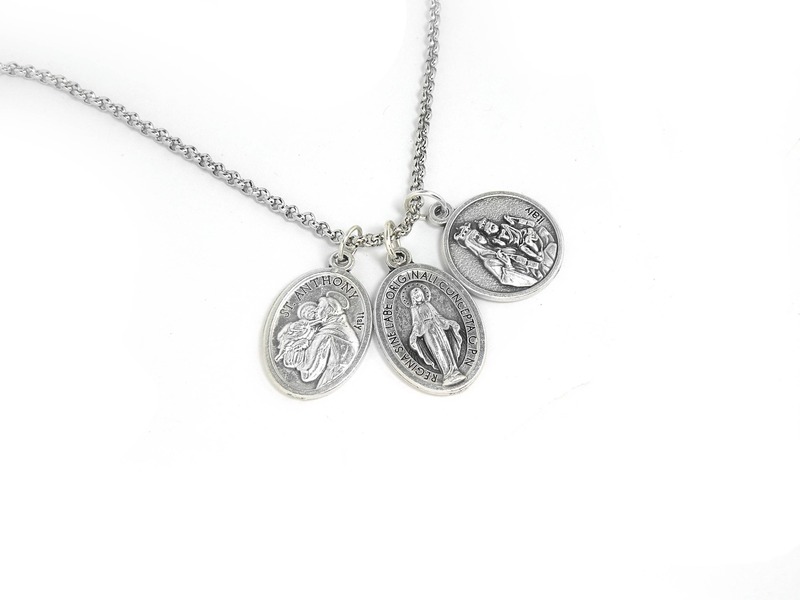 Layering Necklace with 3 mixed medal charm with Virgin Mary and Saint Antony. 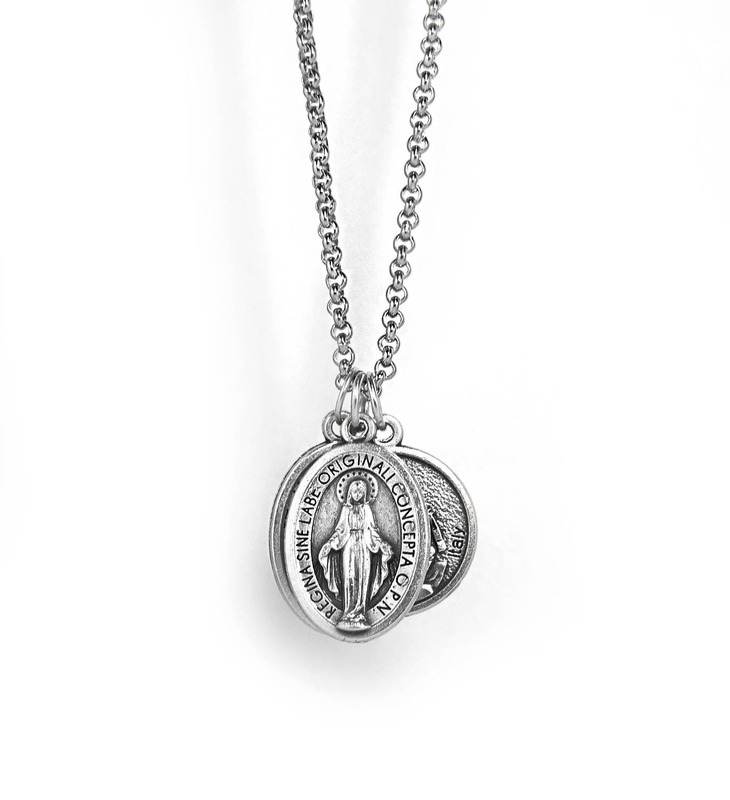 This Pendant comes with one complimentary necklace: 2mm round link chain. Length available from 14" to 26". Note, This Necklace is MADE TO ORDER: please allow 7 to 10 business days to ship - Free USA Shipping.